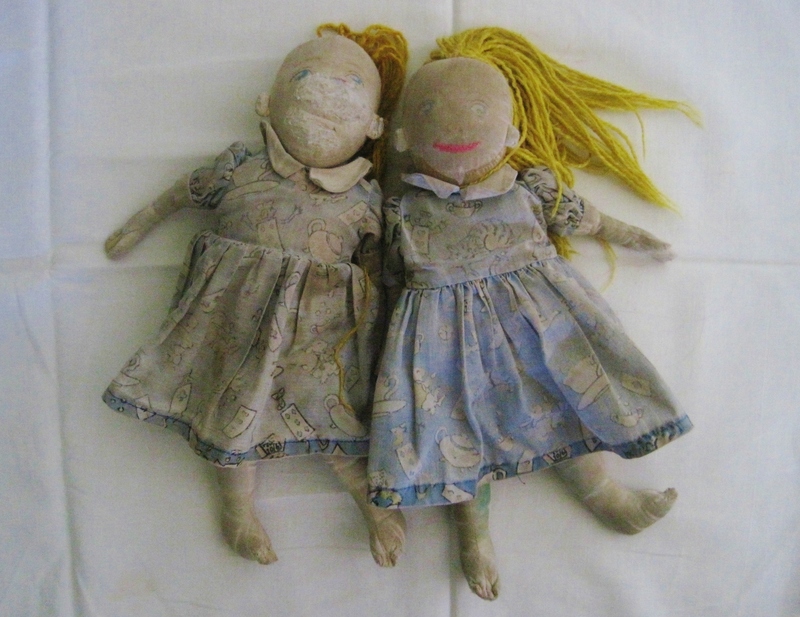 These are my two rag dolls, Alice and Alice. Alice 1 was given to me when I was six months old and as a toddler I took her everywhere; the playground, friends’ houses, holidays. Unfortunately on the way back from a trip to Paris with my family when I was four, Alice went missing. I cried for weeks and my parents bought me Alice 2 to comfort me. A month or two after the trauma a parcel arrived for me in the post. I was overjoyed when I opened it and discovered Alice 1 inside! I later found out that my parents had called the eurostar lost property office and located Alice for me but at the time I thought it was some kind of miracle. Now I love them both and keep them in a special place in my bedroom so I will never lose either one of them again.